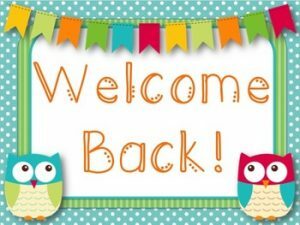 Mrs. Chammout | Welcome Back! Another year of school is here! I hope that everyone had a safe and relaxing summer. Here are some quick reminders to get ready for the first day! 1st graders (and 1/2 split students) line up at the door next to the main office (teacher signs will be posted). I look forward to meeting all of my new friends! We are going to have a great school year!